The designer, Allan J. Arnold, a west coast aerospace engineer, with some friends, also built the first 100 boats. It received considerable attention after winning it's class at Yachting Magazines 'One of a Kind' regatta of 1967. After a few years, Arnold sold all the tooling and rights to the boat. Since then there have been numerous builders and changes of ownership. It was built in Canada for a number of years and sold for a time through AMF dealers as the SEA MOTH. An estimate of the total number built is not available. 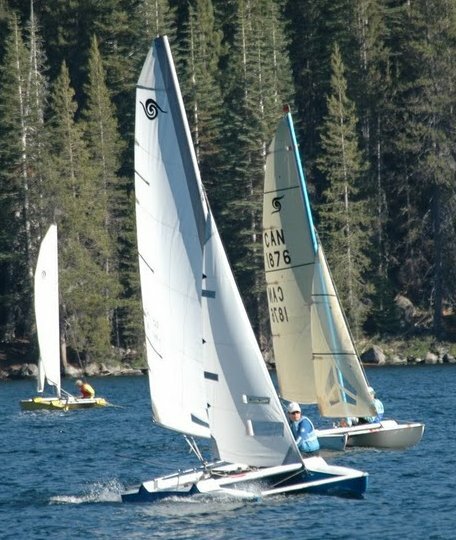 Though the SEA SPRAY was no longer in production by the mid 1980's, there were strong pockets of class racing activity in the US and Canada with a national championship for both countries still being held as of 2009. For class racing, there is no restriction on the size and depth of dagger boards so max draft is not listed.